Welcome to Avalon Standard Poodles! We are located on a farm in Southwestern Wisconsin. 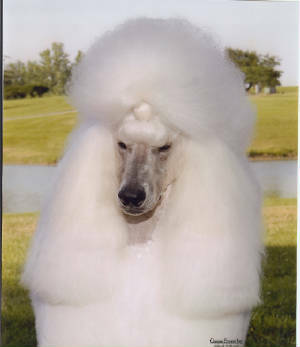 We have been breeding Standard Poodles for over 30 years. Our dogs are our companions and our family. Our goal is always to breed dogs that are lovely to look at, and sound in mind and body. We will not breed other breeds of dogs to our poodles. Our Poodles do not Doodle. This was our brightest star, Champion Avalon's Atlantis. His name was Tyler. He was a Best In Show winner as a puppy. 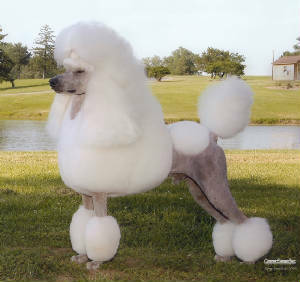 He went on to become one of the top ten Standard Poodles, with many Group 1 wins, and an additional Best in Show. He was the sire of 9 champions. Please get in touch and plan to come and visit !